A traditional barbecue was delicious, soft and juicy, you need to choose the meat, slice it across the grain about the same pieces and marinate. For grilled chicken or fish preparations will be different, one thing consistently – good marinade. 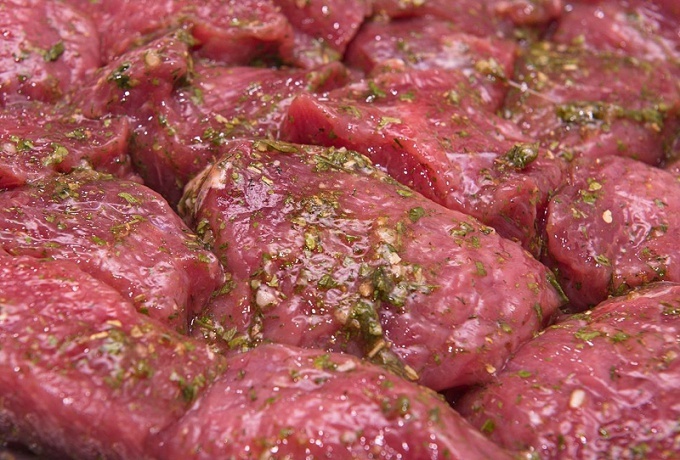 The best recipes of marinades for barbecue is based on 1 kg of the titular ingredient. Marinate meat, poultry or fish should be about 1 to 3 hours – depending on the size of the pieces. 1 g crushed black pepper. Mix the soy sauce with the mustard (if using sweet mustard, reduce the amount of sugar given in the recipe). Add the spices, allow to stand for about 6-7 minutes, then strain through cheesecloth, folded in several layers. Important point: in the marinade for barbecue should not be any solid particles. Otherwise, the pork will burn and barbecue can be ruined. 2 g crushed black pepper. From lemon squeeze the juice, be sure to strain, if you got bone – they can taste bitter. Pour in juice, vegetable oil, dissolve in this mixture the sea salt. Sumac, star anise, crushed black pepper tie in cheesecloth and immerse in the marinade. Put on a small fire, heat up to 60-80 degrees, let cool. After complete cooling, remove the cheesecloth with spices, pressing out the liquid fraction. According to many cooks is the best marinade for skewers of lamb. - 1 g of citric acid. Grate a piece of ginger root. Skip through the press a few cloves of garlic. Squeeze the juice from them. Stir in the honey, drop by drop adding the oil. Should get a homogeneous emulsion, the consistency resembling a liquid mayonnaise. Dissolve citric acid in soy sauce so as not to leave visible crystals. Connect both mixtures. If you use unsalted soy sauce in a marinade for grilled chicken, add a little sea salt. 2 g crushed white pepper. Heat the lemon juice with a sprig of rosemary and crushed white pepper to about 80 degrees. Slowly cool, strain through several layers of cheesecloth, add the sea salt. When it dissolves – pour olive oil cold pressed. Mix well. In this recipe it is important not to change the order of operations. If you mix lemon juice with oil, and then heat – skewers of fish after such a marinade will taste bitter.